2 adjustable, sturdy shelves for books and more; 1 fix shelf. 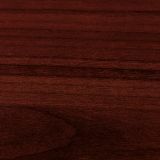 Rich laminate for a professional appearance. Solid, 3/4" thick shelves, adjustable on 1-3/4" centers with pinhole attachments. Each shelf holds up to 110 lb. 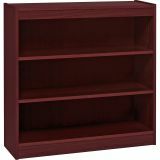 Lorell Panel End 3-Shelf Hardwood Veneer Bookcase - High-quality, veneer bookcase features a vintage square design. Solid, 3/4 thick shelves are adjustable on 1-3/4" centers with pinhole attachments, except for bottom shelf. 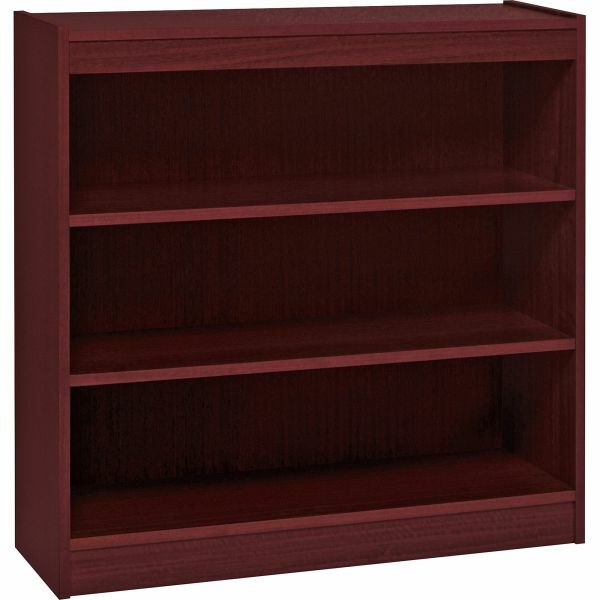 Three-shelf bookcase has a laminate finish on the back's interior and an unfinished back side. Each shelf holds up to 110 lb. WARNING: This product can expose you to chemicals including Toluene Diisocyanate which is known to the State of California to cause cancer, Toluene, which is known to the State of California to cause birth defects or other reproductive harm. For more information, go to www.P65Warnings.ca.gov/furniture.